If you operate a vehicle with a blood alcohol concentration (BAC) of 0.08 or higher any state in the U.S., you will be charged with driving under the influence (DUI) and, if convicted, face fines, jail time, license suspension, and even ignition interlock installation. However, that doesn’t mean that you’re safe from the law as long as your BAC doesn’t hit the legal limit. In many states, you can still be arrested for and convicted of DUI with a BAC below 0.08. 1 person is injured from an alcohol-related crash every minute. An average of 10,000 people die from drunk driving-related crashes every year. That’s 1 person every 50 minutes! 1 in 3 people will be involved in an alcohol-related crash during their life. Drunk driving costs every American adult almost $500 per year. 1 in 5 teens binge drink. Underage drinking results in 6,000 deaths each year. That’s more than the deaths caused by all illegal drugs combined! 1 in 3 teen traffic fatalities is alcohol related. The average drunk driver has driven under the influence 80 times before his or her first arrest. 50 to 75% of convicted drunk drivers continue to drive on a suspended license. 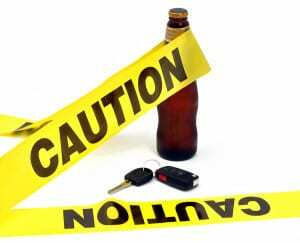 44% of North Dakota’s and South Carolina’s total traffic deaths in 2010 were drunk driving related. These two states had the most DUI-related traffic deaths that year. No matter how much or how little you’ve had to drink, never drink and drive. Save your life or even someone else’s life by using public transportation, your community’s sober ride service, or another safe ride home. If you plan on drinking, plan ahead by designating a sober driver before heading out or bringing money and/or a phone number for public transportation or a taxi. All DUI statistics are taken from the “20 Sobering DUI Statistics” infograph created by Annayumlaw.com using statistics from Mothers Against Drunk Driving and Wikipedia.